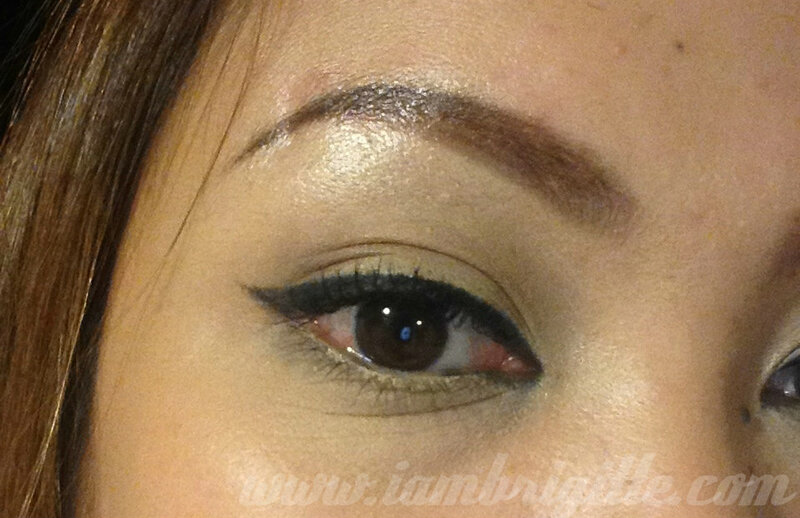 The first makeup technique that I got to learn was not filling in my brows…and no, not even applying eye shadows..it's lining my eyes! I remember doing it the first time using my Mom's eyebrow powder compact. LoL! Of course, I was not yet into the winged-liner thing back then, but I remember trying to extend the line beyond my eye so I'd look chinky-eyed. So yeah, I've been lining my eyes for years! So if you think I line my eyes sort of perfectly, it's because of years of practice. But there are still days when my line becomes wonky…I guess it really depends on how much time you have, and on your mood. I've already found my HG eyeliner, but I just love exploring other options. Besides, there are lots of makeup brands here in Dubai that we don't have back in PH and it would be a shame if I won't give them a try, at least. One of those brands is Rimmel and though available thru online sellers in Manila, I haven't really had the chance to try a lot of their products. And since I only brought one backup of my beloved K-Palette eyeliner (which is not yet available here in Dubai yet), I have to look for alternatives. Rimmel has a lot of eyeliners available, but for today, I'll be doing a review of their Scandaleyes Waterproof Kohl Kajal liner. Long lasting shocking color intensity with kohl Britania. High intensity colour for an instant color impact. Ultra smooth and creamy formula that glides on easily. Waterproof, smudge-proof, sweat-proof, humidity-proof and scandal-proof. Dermatologist and ophthalmologist tested. Safe for sensitive eyes. 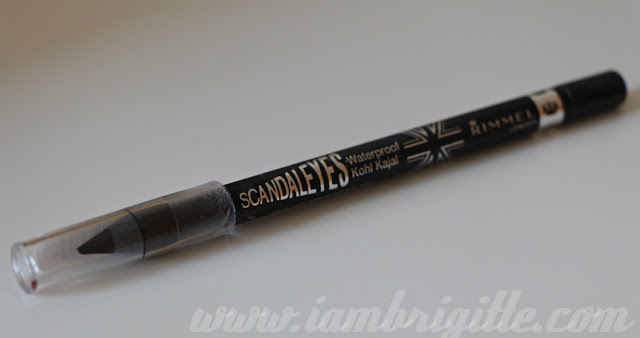 I've been trying to stay away from using pencil eyeliners because there are really stiff ones that tug your lids making them prone to wrinkles, but this one glides so easy, it's like applying a gel eyeliner! 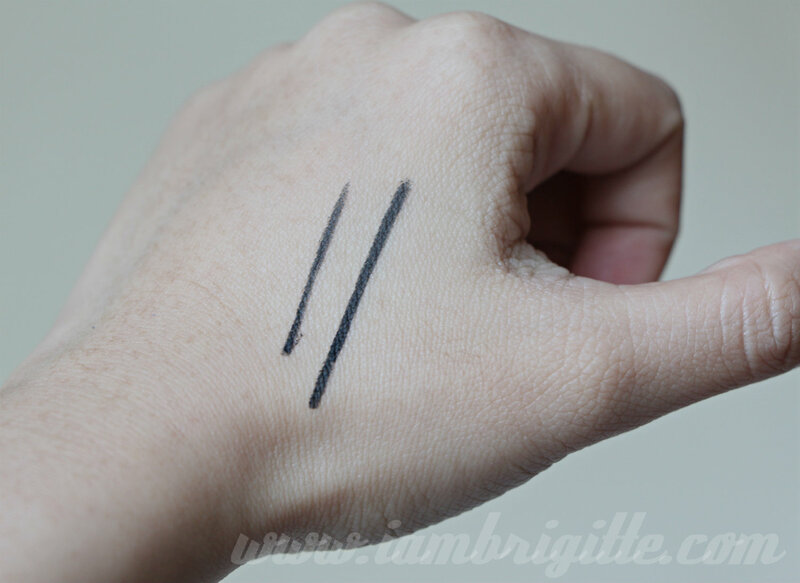 It has an excellent pigmentation, no need to go back and forth for a good colour payoff. Should you wish to smudge it, do so before it sets because one it sets, it's gonna be hard to make it move. On the photo above, I smudged the upper part of the swatches after letting it set for a few minutes. I usually apply the liner on my upper lash lines and it stays there for the entire time until it's time for me to remove it. 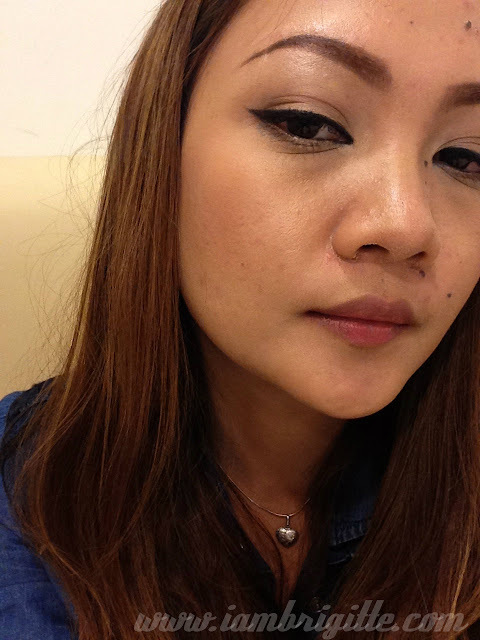 I just use my tried-and-tested Ponds cold cream and this eyeliner comes off easily. Eeeek, don't you just hate when that happens!? 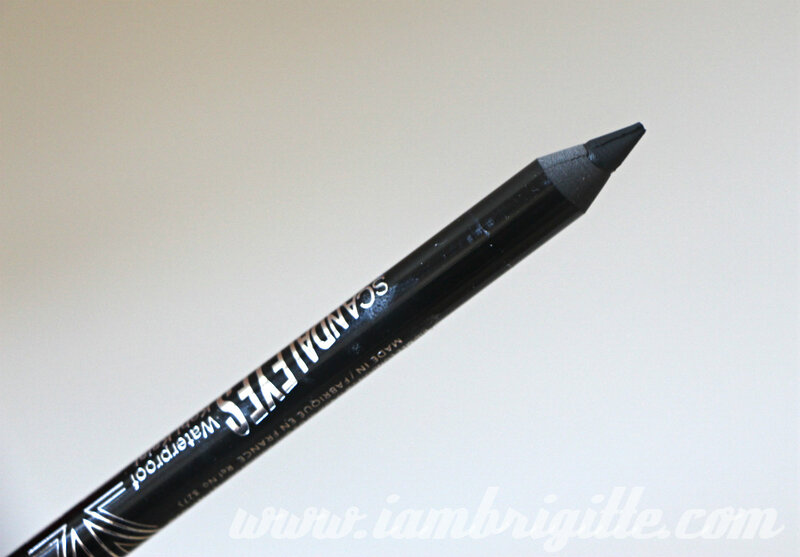 Also, if you love winging out your liner, it can be a bit hard to use this because it's so soft, the tip won't be as pointed as you'd want it to be. Not unless of course it's newly sharpened, which won't be such a good idea to do so often or you'll finish a stick in no time. If you find it too soft for sharpening, pop it into the fridge for a few minutes prior to sharpening. But this won't stop me from trying out more Rimmel products. They have other eyeliners I have yet to try, so I'm not giving up. I also bought some of their lip products and will be posting about them soon!